Show us your Space: St Peters - Citizens Of The World. I was born in Sydney, Australia and graduated in architecture from the University of New South Wales in 1984, achieving class 1 honours. Ten years prior were involved in the metal industry as a tradesman fitter/machinist, whilst studying and achieving a mechanical engineering diploma. Two years travel by motorbike throughout Australia in the late 70’s provided an exposure to the varying Australian landscape, way of life and architecture. The trade developed an interest, ability and accuracy of working with steel in buildings. Travel continued after University to Great Britain and Europe where the handmade houses of the Greek Islands, so beautifully fitting into their surroundings imprinted on my mind. I assisted Glenn Murcutt during the 80’s and 90’s whilst working in his practice, culminating in the design of 'Riversdale' - The Arthur & Yvonne Boyd Education Centre on the Shoalhaven River south of Sydney - in association with Glenn and Wendy Lewin. The building has won the Sir Zelman Cohan and Sulman Awards in architecture, as well as many overseas awards. In 2007 the architectural publication Architectural Review Australia awarded the Education Centre its 'Most Influential Building of the Last 25 Years'. Two new houses, Waverton House and Balgowlah House have been awarded Commendation and Architecture Awards respectively. More recently St Peters Courtyard House received an Architecture Award in the alterations and additions category. 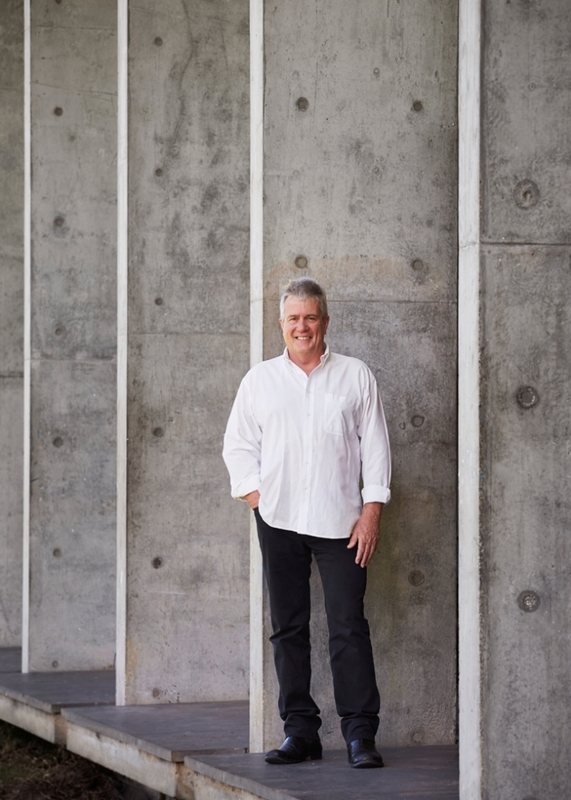 I have taught at Curtin University, the University of Western Australia and many times in architectural design at the University of New South Wales.